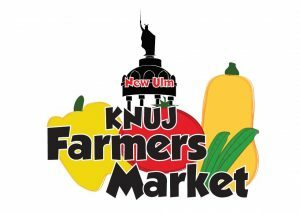 KNUJ’s Farmers Market is right around the corner! Our 2019 markets on Thursdays begin June 20th, and the Saturday markets begin June 29th. Thursdays are again 2:30 pm till 5:30 pm, and Saturdays are 9:00 am till noon…again at Cash Wise Foods, Highway 14 West, New Ulm. If you are interested in being a vendor this market season, also contact Amy at KNUJ and or stop by our offices at 317 North Minnesota Street, New Ulm…next to the Glockenspiel.